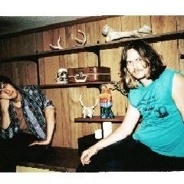 Monday’s music pick: Jeff the Brotherhood at Stubb’s . Rock duo Jeff the Brotherhood, which consists of brothers Jake and Jamin Orrall, are part of Nashville’s thriving garage rock scene. With Diarrhea Planet and Low Times. 8 p.m. $10. 801 Red River St. stubbsaustin.com. The cashless store trend is spreading. So is the backlash.